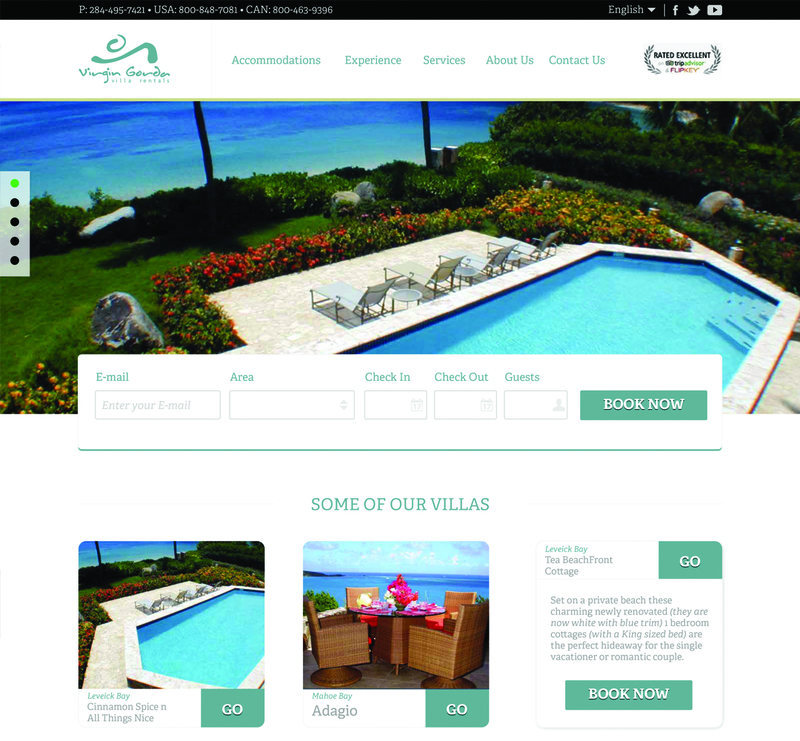 The agency worked very hard and diligently on Virgin Gorda Villa Rental’s new modern website design and development. 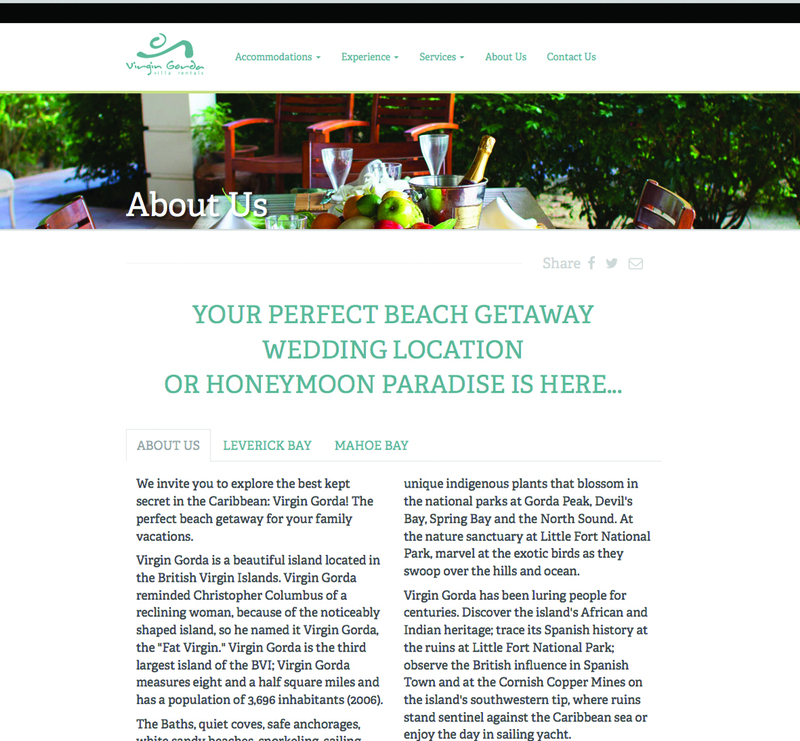 As a result of all the effort invested for this esteemed and long-time client, ever since the website went live a few months ago (2014) traffic to the page has increased 300% and we finally started to see direct bookings originating from the site, which was the goal from the outset in order to help our client depend less on reservations derived from other means such as wholesale booking sites or hotel and travel services' vendors. 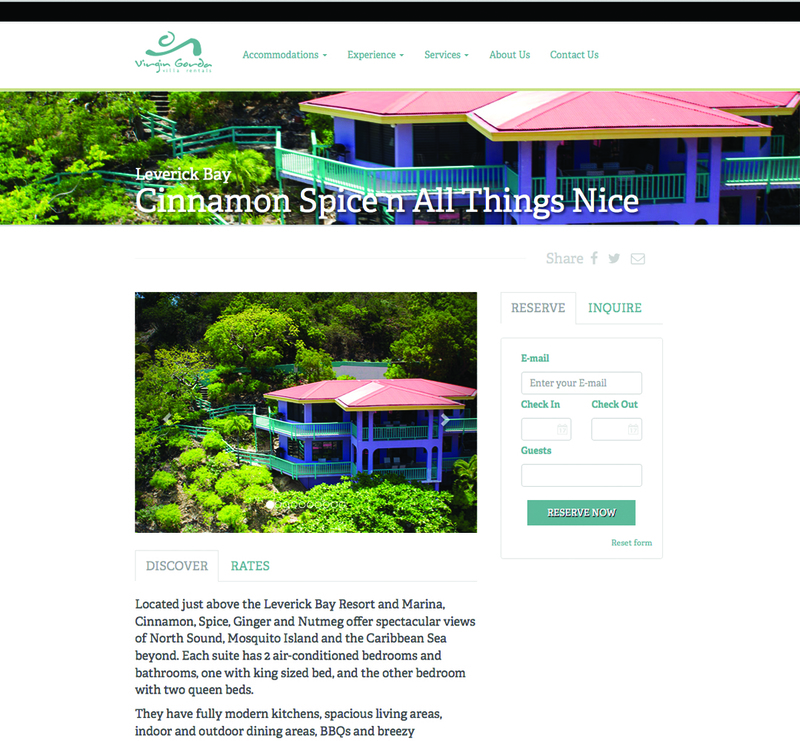 VGVR’s responsive website was brought about using the latest web graphic design tendencies and programming in views of ensuring it would adapt to any device, something that has proven immensely helpful for augmenting visitors and repeat business through the page.